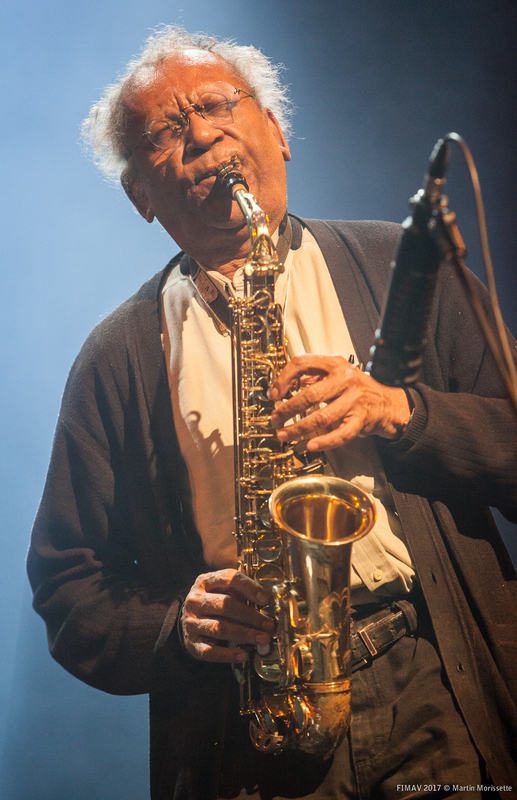 This was another fruitful year for Tri-Centric – the New Braxton House label released Sextet (Parker) 1993, the complete recordings of Anthony Braxton’s legendary Charlie Parker project from twenty-five years ago, while making its entire catalog available on Bandcamp for easier engagement and distribution. Tireless work continued on digitizing and archiving Braxton’s complete compositional and philosophical archive – as evidenced by the increasing number of artists performing Braxton’s music worldwide, from the young musicians of Face the Music, to leading new music ensembles like the JACK Quartet and Wet Ink, to Monochrome Brass’s critically acclaimed interpretation of Braxton’s Composition No. 103 for seven trumpets. Taylor [Ho Bynum] began a new teaching job at Dartmouth College in 2017, and after a year and a half of juggling his various responsibilities, has made the difficult decision to step down from his position at Tri-Centric to better focus on his own work as a composer/performer and his commitments as an educator. While Taylor will always be a part of the Tri-Centric family and will continue to support the organization as an advisor and friend, the organization wants to formally thank him for his dedicated service and the extraordinary accomplishments during his tenure, and wish him the greatest success in his future endeavors. Tri-Centric is excited to announce that beginning in 2019, Kyoko Kitamura will be taking on the role of executive director. Kyoko has been with Tri-Centric since 2010, most recently serving as director of communications, along with being a featured performer on both Trillium operas, multiple small-ensemble and duo performances and recordings, and as producer and performer on the upcoming 12-CD box set GTM (Syntax) 2017. Prior to re-entering the music scene, Kyoko also had a successful career as a television journalist and a magazine writer, bringing deep experience and leadership to her new position. The Tri-Centric Foundation has many exciting projects coming up in 2019 – including an upcoming event on January 25 at Roulette celebrating the release of GTM (Syntax) 2017, a night of Braxton’s music co-produced with the Edition Festival in Stockholm on February 8, and many more ensembles performing and students learning Braxton’s music as part of his 75th birthday celebration (aka Braxton75).